In 2050, just 35 years’ time, there will be more older people worldwide (aged 60 and over) than children under 16 for the first time in history. Today, almost two-thirds (62%) of the 868 million people in the world aged over 60 live in developing countries; this proportion is expected to increase to 80% in 2050. That more people are living longer in developing countries is a cause for celebration, but this new reality also brings new challenges if it goes unrecognised. New analysis by Age International finds that diseases commonly associated with ageing (ischaemic heart disease, stroke and COPD) make up three of the top four causes of death in low- and middle-income countries. The increase in prevalence of non-communicable diseases shows the need to invest in the kinds of services and programmes which people require later in life. These findings come as the Charity launches a new publication ‘Facing the facts: the truth about ageing and development’ which brings together expert opinion on the trends, challenges and opportunities presented by a global ageing population. Authors include Margaret Chan, Director-General of the World Health Organization, Mary Robinson, a member of The Elders, and Sir Brendan Gormley, former Chief Executive of the Disasters Emergency Committee. An ageing population will affect everything from economies and labour markets to health and social care. Age International, the international relief and development Charity, is calling on the UK Government to ensure older people are fully taken into account in negotiations on the UN’s post-2015 sustainable development goal framework and to also ensure the UK Government’s development programme supports people of all ages. Non-communicable diseases, such as hypertension, diabetes and dementia, are predicted to become more widespread and affect increasing numbers of people, yet Age International cautions that healthcare systems around the world are under-prepared for this situation. There is also an increase in the number of ‘oldest old’ around the world. There are currently about 66 million people aged 80 years or older living in developing countries. This is predicted to rise to around 121 million people by 2030, an increase of 82 per cent in just 15 years. Older people have a lifetime of skills and experience, and most continue to contribute to local economies through paid or unpaid employment. Many also have valuable roles caring for or raising children. 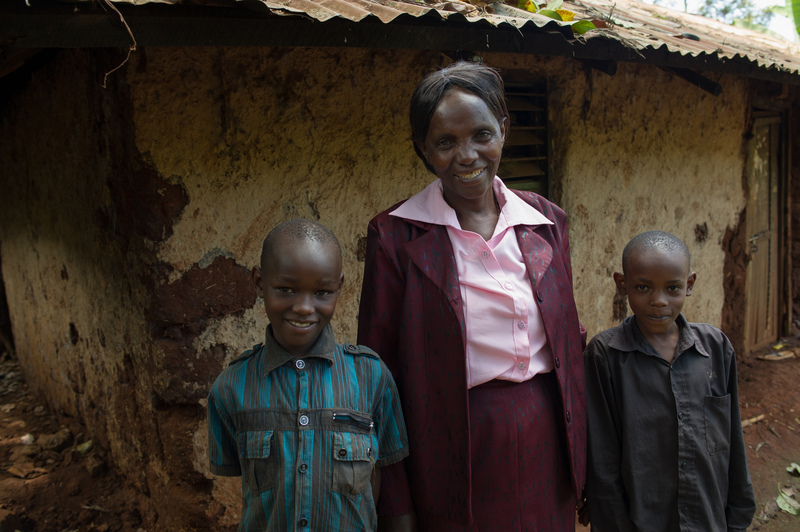 For example, up to 60% of children orphaned by AIDS in Zimbabwe and Namibia are raised by their grandparents. ‘Facing the facts’ draws attention to the wide range of social and economic benefits older people bring to their communities and challenges negative stereotypes of ageing. Chris Roles, Director of Age International and Ken Bluestone, Age International’s Political and Policy Adviser are available for interview. Elisha Sibale runs programmes supporting the prevention and control of non-communicable diseases among older people and is involved with intergenerational active ageing clubs in Tanzania and will be in the UK and available for interview. Other authors, including, Sir Brendan Gormley, Peter Lloyd-Sherlock and Jane Falkingham will be available for interview at a launch event at the House of Lords, 2 Feb, 6-8 pm. If you would like to attend this event please contact Sara Guy for a formal invitation. Mary Robinson and Margaret Chan are not available for interview. The publication features 20 articles by leading ageing and development experts and one from a Tanzanian activist for older people. Topics covered are: Challenging preconceptions about ageing; Health and care in an ageing world; Ageing is about more than older people; Global ageing: taking action. Low- and Middle-Income Countries (LMICs) defined here as those countries in the WHO statistics described as Low Income and Lower-Middle Income.